Dropshipping is retailing without necessity to keep stock. Instead, your wholesale supplier sends the stock directly to your customer. You (reseller) forward your customer’s order and the shipment details to your supplier (dropshipper), and they ship the goods on your behalf directly to your customer. Customers are not aware that the goods are drop shipped, as so called “private label shipping” allows shipping from your wholesaler with a return address and invoice customized to your store. If you trade under dropshipping model, you don’t need to spend cash on buying initial stock, renting a warehouse space, and organizing the logistics, including processing orders, picking and packing the stock, labelling and shipping. This allows to save significant initial investment and allows easy entry for start-ups. Reseller that uses dropshipping does not need to have full functionality of a traditional retailer, it may cut storing, logistics, handling shipments, and deliveries. In a traditional store these functions require having relevant facilities, such as storage, order picking and sorting area, as well as having the personnel who performs these functions. Another major area that reseller may cut is the buyers function. Buying is one of the most difficult functions in trade. It requires significant experience from the buyer and a deep market knowledge. Wrongly purchased stock may stay unsold or may sell very slowly, creating losses, wasted working capital, and occupy space in the warehouse. For this reason, buyer’s job is usually quite high profile and is associated with risks, and eliminating this function significantly simplifies trading operations. In case of dropshipping, there is no buying of stock on a regular basis, a trader just enters in an agreement with a dropshipper and just offers dropshipper’s stock, and is basically limited by what the dropshipper can offer. A trader may have more than one dropshipper and thus expand its range of products, though this might be associated with additional cost, as many dropshippers, in addition to cost of products, may also charge an additional fixed subscription fees. Your dropshipper need to be local to your customers but you don’t have to. You can operate your store from anywhere as long as your dropshipper is able to fulfil them locally. For each geographical region that you would like to operate you may have a local dropshipper and cover large and distant locations. Isn’t this consistent with a dream of many, laying down on a sunny beach, with a nice cocktail, and your laptop, and orchestrate your online business through Internet, a couple of hours per day, while dropshippers do the rest for you. By now you have probably come to understand that this is becoming too good to be true, haven’t you? Ok, let’s have a look at some potential problems. When you sell goods from your own stock, you can reliably fulfil your orders and there are rarely any issues with availability of stock since you know what you have and you only sell what you have. If you sell dropshippers stock, quite often you can’t see their stock list live. In most cases, you get their stock list in the morning and can’t see changes that happen during a day. For example some items may get sold out, and if you are not aware and continue selling those items, the dropshipper will not be able to deliver them, and this will create problem and dissatisfaction for your customers. Some more traditional retailers who stock goods in their warehouses, may also apply “get order first, then get the stock” scheme for some less demanded items. But there is a difference as if after getting an order they find that one of the suppliers is out of stock for that item, they may quickly find the item with another supplier. With dropshipper scheme there is less flexibility in that. A complicated mechanism breaks down more frequently than a simpler one. Adding a third party to fulfil your orders increases chances of fulfilment errors, mistakes, and logistical problems. Plus there is an issue of responsibility, who is responsible for customer returns? There is a significant number of returns in video games industry, justified and unjustified, most dropshippers would not deal with them, so the reseller has to. Having an online store is not enough for selling, your store should be visible to your customers otherwise they won’t find you. One of the major things you have to ensure in your marketing and promotion efforts, that your site is well received and visible by major search engines. Google, which is the major search engine, does not quite favour multiple listings from the same vendor. Keep in mind, you will be not the only reseller of a given dropshipper, there might be dozens, if not hundreds, of resellers who will be advertising products of the same supplier on their sites. If you use the dropshipper’s product listings, in online terms your website essentially becomes an affiliate of the dropshipper, and you must know that Google does not like affiliated websites. The reason is because when somebody searches Google for a particular product, the search engine tries to give a variety of most relevant results. If the results include you, and many other resellers of the same dropshipper, that would not be a variety it would essentially be the same product of the same dropshipper, advertised by various resellers. To avoid this, Google’s clever algorithms in many cases will recognize online stores that are associated with a specific supplier, and might filter down most of those resellers from its results, leaving may be one, or even sometimes none from the same supplier. You can also resell on Ebay and Amazon, but you will have to compete on price with traditional retailers who stock their goods and are able to offer less price and better reliability. 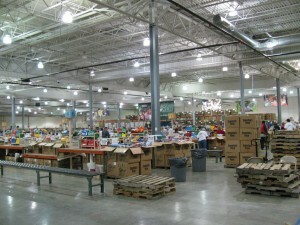 Dropshippers charge extra margin compared with traditional wholesale distributors. This margin includes extra cost for logistics and handling. Also, since with the dropshipper you place a number of small orders rather than one big order, since each of your customers’ orders are a separate order from you to your dropshipper, you get higher prices for each product. As a result it becomes very difficult, if at all possible to compete with retailers who buy large quantities from traditional wholesalers. For example, you got a price of 62 USD including VAT for a recently released PS4 game (Fifa or Call of Duty, etc), and would like to sell it in Europe. The dropshipper charges you extra 4.67 USD for P&P, which brings the price to 66.67 USD. A quick glance at amazon.co.uk, or amazon.de indicates that the same game is sold for only 60 USD including VAT, and your price is simply not competitive. It seems easy on the first glance but it isn’t. In fact, opening an online store solely for reselling dropshippers products gives little chance to be successful, you may just loose time and money. It makes more sense to add reselling dropshippers’ product to an already existing successful operation. For example if you have a successful blog about video games, with high traffic visiting your site and some active and loyal visitors, you may try to monetize it by offering some products on your site, and to avoid dealing with fulfillment of orders, you may partner with a dropshipper. Google will look at it much more favorably, and may still love your site if it offers good value, such as interesting articles, product reviews, engaging customers, who participate, leave comments, etc. Though if you have a good, actively visited website, you may want also to consider other ways of monetisation, such as affiliate programs, for example, Amazon’s Affiliate Program allows listing of its products on your site and each time someone buys anything you get a small commission. There are many other ways to monetize a successful website, and dropshipping arrangement is one of them. You may want to do some comparison of available options, may be experiment with some suppliers and affiliate programs to find the optimal option for your case. Otherwise, if you like to more concentrate on trade, it’s probably a good idea to follow a traditional trading model, i.e. deal with traditional wholesale distributors, buy stock from them on a regular basis, store it in your warehouse, and sell items that you have in stock. Become Annual Member and get access to our list of suppliers of wholesale video games. If you are a dropshipper, please contact us to have your details included in our directory.